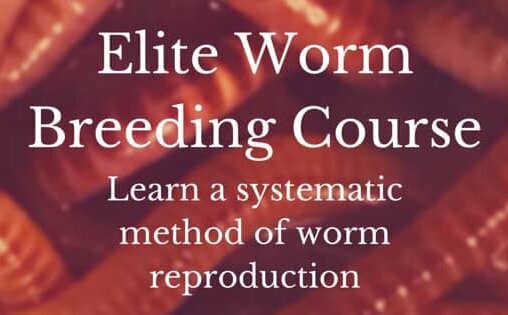 I'm 54 but feel like a kid when I get to "play" with my worms! So I have finally worked my way up to bin 3 vertically and think that it is time to 'harvest' the dirt from bin 1. I don't want to harm the earth worms or take any out of the system. So how exactly are you supposed to 'harvest the dirt and...do you take this special dirt and mix it with a baf of topsoil/planting dirt, or do you use it straight up? Comments for Wanna see my worms?! Yes I would indeed like to see your worms. You can upload pics into the website next time you comment on the site. Okay, So you want to know when to harvest castings in a flow through system. This is pretty simple as you only need to do a visual and maybe a little touch to determine if the castings are mature for using in your garden. Typically, (if you don't want to mess with picking out worms or cocoons from the castings) you can wait around 3 months from the beginning of the first tray (on bottom) to be 90% empty of worms and hatched cocoons. It takes about 3 months from the time you start your first tray of compost to become fully composted into worm castings and for any cocoons to hatch and climb up to the second tray. The time can vary depending on what you are feeding your worms. You will always have some worms in the castings as they are migratory and always search out other means of food even when conditions are right. Your castings will look like moist coffee grounds but very fine and soft and there will be almost no compost left in the worm bin. You can always keep checking if you are needing your castings sooner but you will have to pick out your worms and cocoons unless you want to use them in your garden. Best to keep them in your Worm Farm though. The more worms you have, the more castings they will make for your vegetable garden. P.S. go to the Worm Tea section. You will be amazed at the results the tea can do. Shy worms...hide from the paparazzi and flash! Thanks Pauly for your feedback. I did harvest the bottom tray last week. It had been well over 3 months from the start of the tray. I didn't see any worms or cocoons...so I don't think that I killed any of my buddies. I will mix it as you suggest. I am so looking forward to a vegetable garden this spring! I'll try to take a picture and post it next time...but you know how they dislike light!